The Elk Hair Caddis Olive is based on the Elk Hair Caddis Tan created by Al Troth. 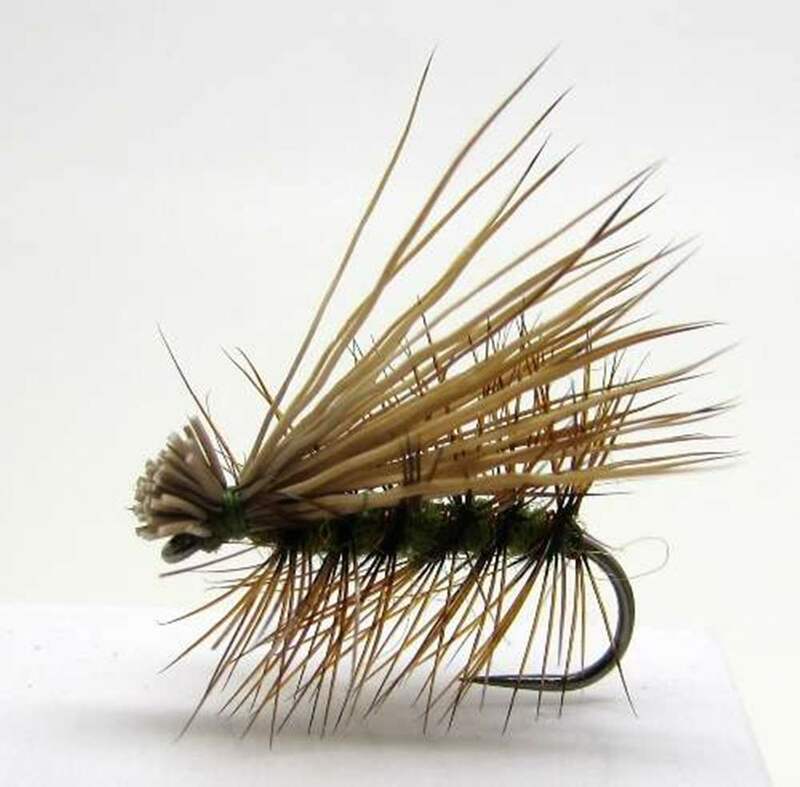 The Elk Hair Caddis Olive developed by Al Trout was originally used in the American Northwest with a great deal of success and is now used world-wide. This is a superb imitation of an adult caddis fly which rather than imitate a particular species of caddis uses a roof wing profile to mimic a whole range of medium to small brown caddis flies. The wing is made of Elk hair which is tough but retains good buoyancy. For the more adventurous among you we have provided tying specifications for the Elk Hair Caddis Olive. Remember at The Essential Fly we sell the Elk Hair Caddis Olive at incredible prices with a top quality fly and service to back it up. It is certainly worth tying the Elk Hair Caddis Olive yourself to understand the pleasure of catching a fish with your own tied fly, however at the price we sell flies it is only worth tying one or two Elk Hair Caddis Olive as your can spend more time fishing instead of tying flies - buy volume online with us.